Get ready to drink local beers, eat local food and meet local Physicians! Join us at Boulevard Brewing Company and enjoy beverages and appetizers on Wednesday, August 29th from 6-8pm. Stop the Bleed Training – Seeking community partners! 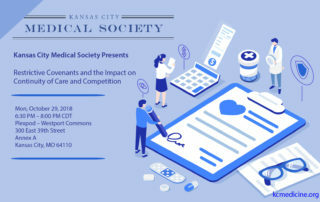 The Kansas City Medical Society wants to partner with you to host these free events. The Stop the Bleed Training is a wonderful opportunity for community members to learn helpful information from local physicians. The Kansas Medical Society, in collaboration with the Kansas Medical Group Management Association Insurance Committee, will be co-hosting a webinar with Health Net Federal Services (HNFS) on July 18, 2018 from noon – 1 p.m. CST Please plan to join us as senior staff from HNFS provide updates regarding their transition.